Let's be real. If you live in the United States, Independence day is usually hot. But because it is the 4th of July, everyone wants to be outside doing parades, picnics, and parties. You know what all those things have in common? FOOD! 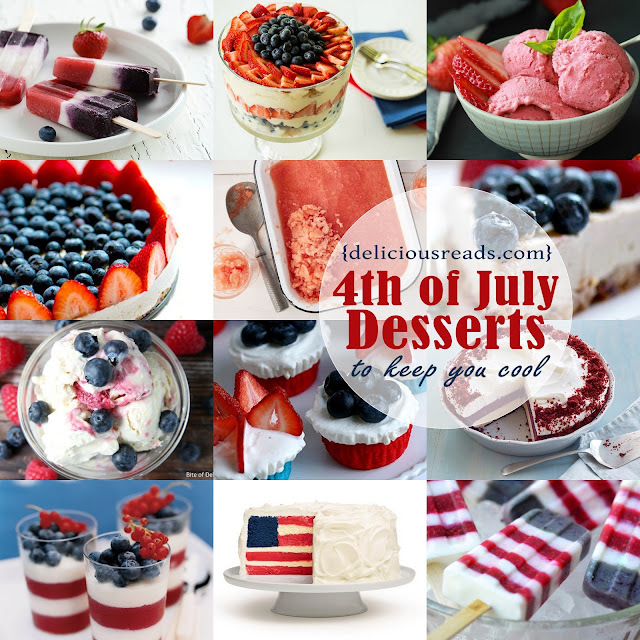 Wouldn't it be nice to cool off with a July 4th dessert that will explode in your mouth? 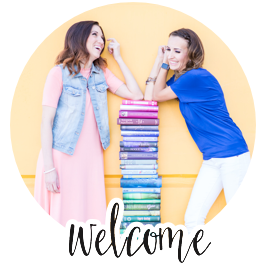 At Delicious Reads, we want to make that happen so that while everyone else is slaving over the main dish and potato salad, we can be lazing about in a hammock with a good book. 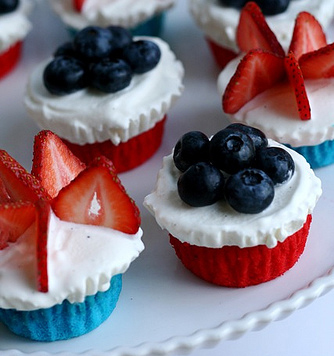 We've put together a list of 10 to-die-for desserts that will cool you off this July 4th. 1.) 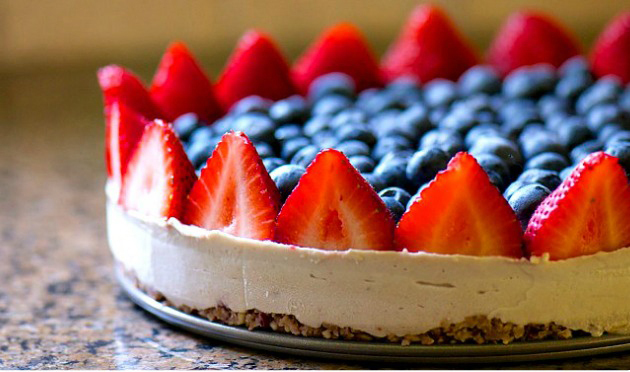 Red, White, and Blue Vegan Cheesecake - best served frozen, this dessert is healthy and yummy! With a crust that includes almonds and coconut and a cake with cashews and coconut milk, this cheesecake will for sure be a crown-pleaser. 2.) 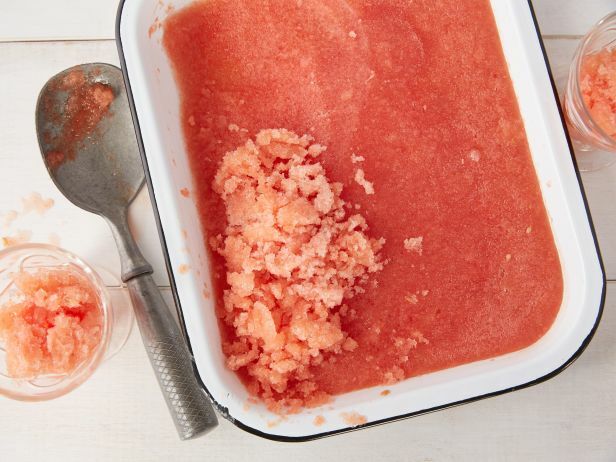 Watermelon Granita - This delightful and light dessert only has 3 ingredients. It's easy to make and will keep everyone cool. 3.) 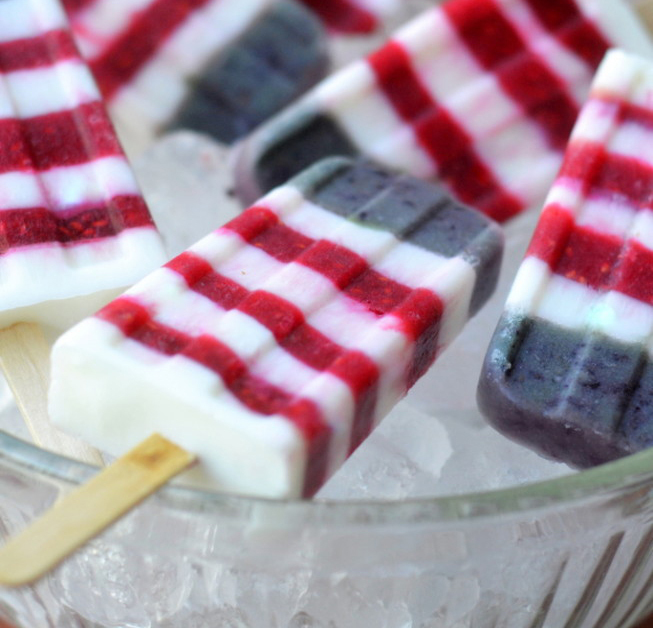 Red, White, and Blue Double Berry Coconut Pops - Popsicles can be patriotic and healthy too. With no added sugar, these will sure to be a hit! 4.) 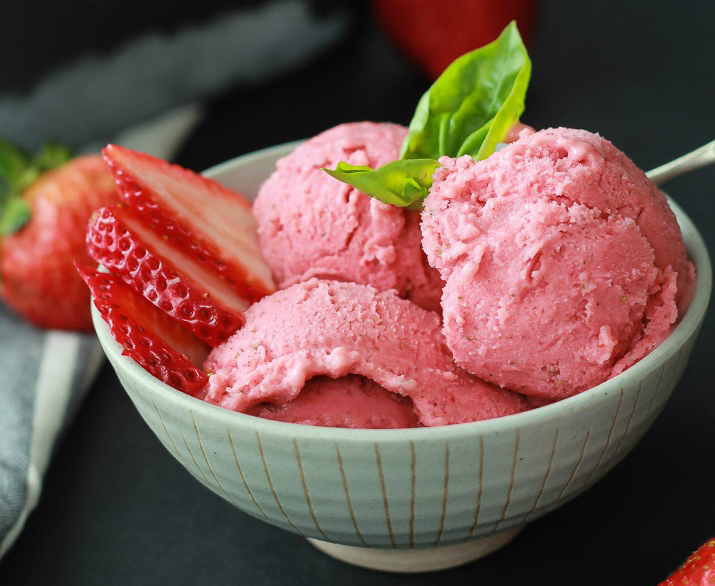 Strawberry Basil Homemade Frozen Yogurt - It only takes 5 minutes and 5 ingredients to make this cold dessert. It's creamy texture doesn't take an ice cream maker either. You can whip it up with just a blender. 5.) 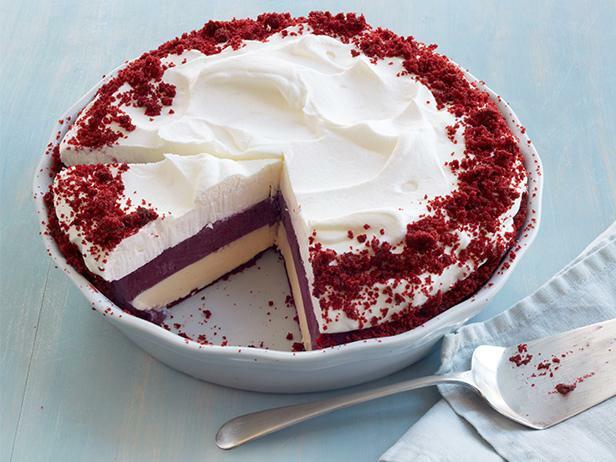 Red Velvet Blueberry Ice Cream Pie - Save some time with this ice cream pie and buy premade red velvet cupcakes to combine with the yummy ice cream. 6.) 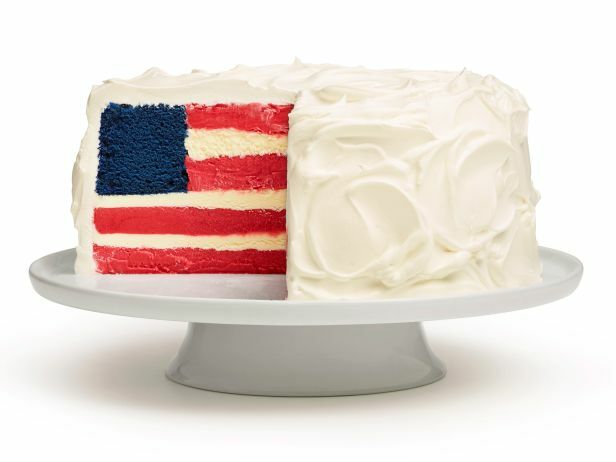 Ice Cream Flag Cake - You can't get much more patriotic than a flag on Independence Day. Combining raspberry sorbet with this yummy cocoa infused cake will have all your guests in awe. 7.) Ice Cream Cupcakes - This small dessert is easy to hold and with ice cream as an alternative to frosting, guests will have a cool and sweet surprise. 8.) Berry Trifle - This layered dessert has yummy fruit, angel food cake, cream and pudding all in the perfect combination for an explosion in your mouth. 9.) 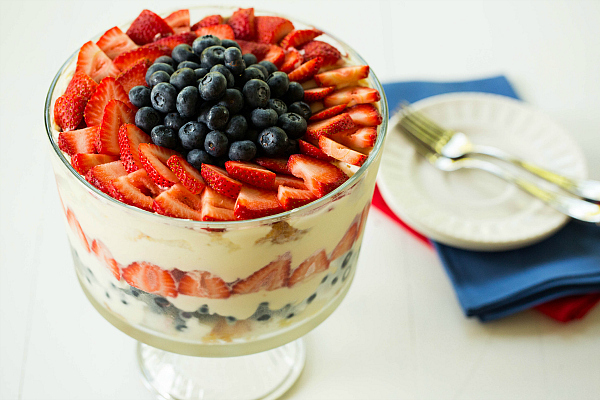 Red, White, and Blue Parfaits - Let's bring parfaits back! These cute little desserts are the perfect size. 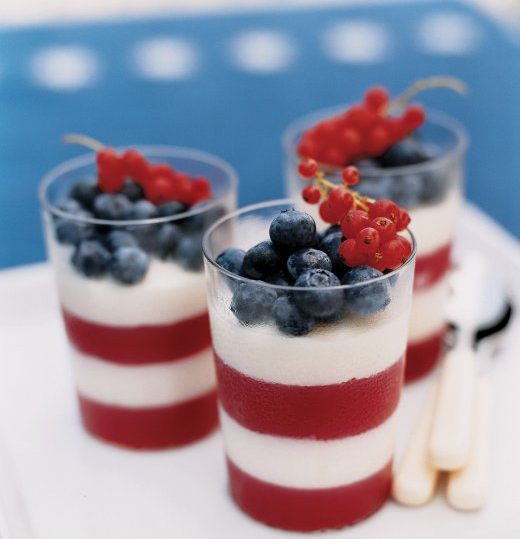 Two kinds of gelatin - red currant and panna cotta, made with cream - are topped with currants and blueberries. 10.) 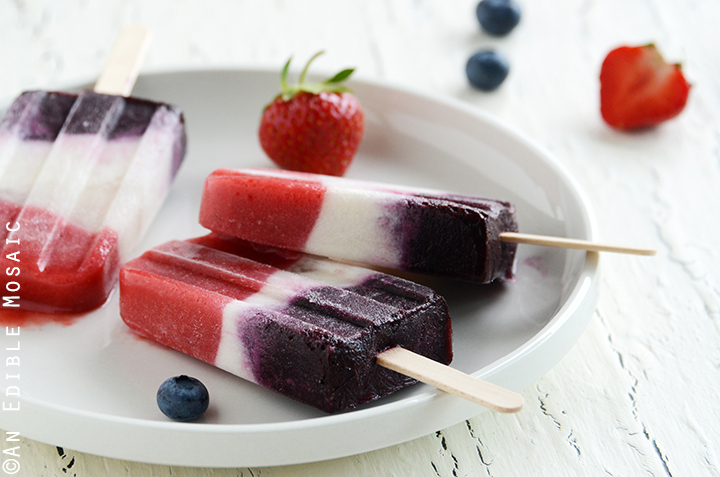 Red, White, and Blueberry Popsicles - Raspberries, blueberries, and Greek yogurt make the perfect combination for these healthy popsicles. Cool off and enjoy! If you would like some more healthy and savory choices this Independence Day, check out our Delicious and Healthy Foods for Your 4th of July. 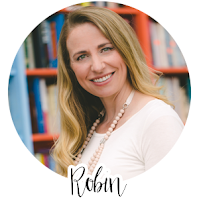 Read more about me and my books on my blog. These 3 researches from large medicinal journals are sure to turn the traditional nutrition world upside down! Cut out head protectors from development paper. The player who can put the protective cap on the bicycle rider's head is the victor. Tire Roll is another gathering uniquely designed for an American Chopper subject gathering.